There are ways to mitigate the difficulties of a conservatorship or even help clients to avoid one. A conservatorship is a difficult and often humiliating process for any client to have to go through. It’s important for clients to understand that, at the end of their life, it can happen to anyone. When evidence exists indicating a person is no longer capable of managing his or her own affairs due to illness, age, or decreased capacity, a court can appoint a conservator to step in — and that’s an outcome no one wants to see. It’s also a process that many people may not want to contemplate, and a difficult conversation to have. But there are ways to deal with a potential conservatorship that may mitigate the difficulties of one, or can even help clients avoid them altogether. One way to make sure a conservatorship is as painless as possible is to have the client nominate his or her own conservator. If there’s a trusted and capable member of the family who wouldn’t mind taking on the responsibilities, that person would be a good choice, or a member of the client’s advisory team who is willing to volunteer. A court doesn’t necessarily have to abide by a person’s choice of conservator, but will generally do so. Just make sure the nominee is up to the job. And put that person’s name into an easily accessible document. A lesser step is to grant a durable power of attorney to a family member. This cedes the right to control the client’s personal and financial affairs in case of incapacity, without requiring court proceedings that can lead to a conservatorship. There’s an important distinction to be made here: A durable power of attorney gives a person authority to make medical decisions on the patient’s behalf, while a general power of attorney grants those same powers but doesn’t extend past incapacitation. A general power of attorney wouldn’t be of much use in warding off a potential conservatorship. Many states have established strict, objective guidelines for what counts as diminished mental capacity in terms of establishing a conservatorship. California, for instance, has enacted the Due Process in Competence Determinations Act with the intent of removing some of the subjectivity from the procedure. Under that law, to show that an individual lacks the capacity to manage his or her finances, the court must prove a deficiency in at least one identifiable mental function, such as ability to reason logically, memory, orientation to time and place or ability to recognize familiar persons. Other states have similar provisions in place. Making sure clients are aware of these guidelines can help eliminate some of the uncertainty and paranoia that can surround the issues of a conservatorship. It might even help some clients prepare to keep from being declared incapacitated. The scariest part about an encroaching conservatorship is the uncertainty, which is worse for someone dealing with diminished mental capacity. Maybe the most important preparation to take is to ensure that clients understand what might befall them if they become mentally diminished. The discussion is not pleasant to contemplate, but it’s necessary to have. A conservator has to explore, for example, how to pay for medical bills or address other late-life issues. One way to make an end run around a possible conservatorship is to plan ahead. Know what decisions a conservator might have to make, so that such things are already provided for. And always make sure the client knows what’s going on — every step of the way. 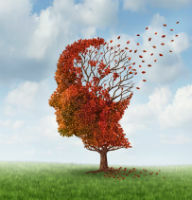 In the end, the scariest thing about a conservatorship is the loss of control. Whatever an advisor can do to limit that will be most welcomed.